Globe Bath and Kitchen Remodeling has earned the home service industry’s coveted Angie’s List Super Service Award, reflecting an exemplary year of customer service to members of the local services marketplace and consumer review site in 2016. “ We have been working for years to satisfy our clients. We believe in service driven work with excellent execution. Each year we are improving and focusing on quality in Bathroom and Kitchen projects with emerging technology and trends,” Daniel , lead Bathroom Design said. Globe Bath and Kitchen Remodeling has earned the service industry’s Angie’s List Super Service Award in Kitchen and bath remodeling for the sixth consecutive year. 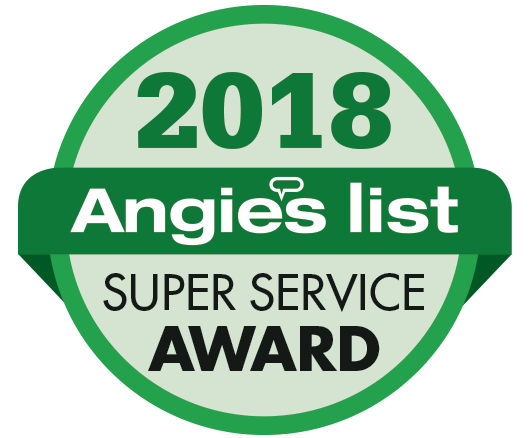 This exclusive is given annually to approximately the top 5 percent of qualifying service companies per category in each market who achieved and maintained a superior service rating on Angie’s List throughout the past year. This award reflects Globe bath and kitchen exemplary year of service to the local and regional marketplace and members of Angie’s List. The team of Globe Bath and Kitchen visited the cabinetry plant of Wolf at Lynchberg, VA. The plant visit familiarized the staff with the love and care each cabinet goes through from order to shipment. The plant tour allowed GBK members to look at the the construction and assembly process of cabinets as well as custom coloring. The owner, Adem, was a delight to work with. He lived the stated philosophy of wanting the customer to be satisfied. Before contracting, spoke with several references from previous jobs and the story was the same: Adem does high quality work and is focused on customer satisfaction.the crew completed the job a week early. They worked long hours and even a Saturday.Would recommend working with Adem at Globe Bath and Kitchen Remodeling.